Your quick guide showing you where you can still watch UKTV - the broadcaster behind channels including Dave, Really and Gold. UKTV channels were removed from Virgin Media over the weekend. However, its portfolio of ten channels, plus HD and +1 variants are still widely available on other platforms across the UK. 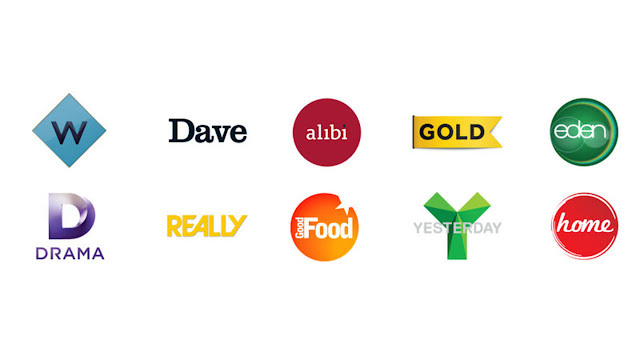 The UKTV channel portfolio is split in two categories: free and premium. Free channels are available on Freeview and Freesat, while the premium channels are carried on pay TV platforms (except Virgin). *in HD with relevant Sky HD subscription. ^Not Plusnet. On Freeview, BT, Plusnet, TalkTalk, you can watch Dave Ja Vu on channel 79, subject to local coverage. Only Sky offers the largest set of +1s, find the +1 channel 100 places above the main channel number - e.g. Dave: 111, Dave Ja Vu: 211. There is no +1 for Really or Drama on any platforms. TalkTalk users: In addition to Dave Ja Vu, you can find Gold+1 on 314. Content from UKTV’s free channels is available on-demand via UKTV Play, available as an app on many platforms, including Freeview Play boxes. Gold is currently available on NOW TV’s Entertainment Pass. Users of the NOW TV Smart Box can see all five free-to-air-channels in the channel list, subject to local Freeview coverage. UKTV’s channels are available via TVplayer.com and mobile apps. The premium channels require a TVplayer Plus subscription and is available on a limited number of devices. EE TV piggybacks off the Freeview service. Please see the Freeview listing above. Channel numbers, coverage and carriage may change without notice. Freeview access is subject to coverage. Viewers can check which Freeview channels are available in their area on the Freeview website. Channel coverage restraints also affect the availability of the free channels via BT, TalkTalk, Plusnet, EE TV and Now TV Smart Box. Information as of 20/07/2018. Includes channel number data from Digital UK, BT, Plusnet, TalkTalk, EE, Sky and Freesat websites.